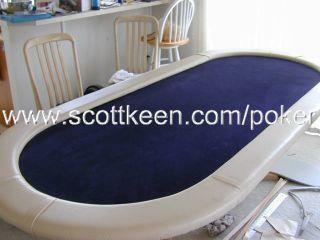 Building a poker table can be a very satisfying project. 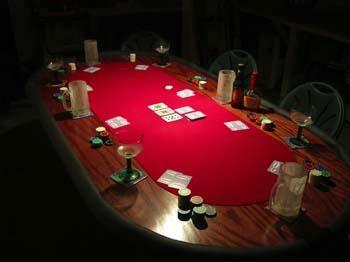 Choose from one of the free poker table plans below. A oval table that comfortably seats 8 and is 7ftx3.5ft with exposed wood around the outer edge for chips and drinks. This design fits over the dining table, and is built in two halves so it can be easily stored.